This weeks athlete features is relatively new to CrossFit, 5 months to be exact. In her short time CrossFitting Alyssa has impacted the CrossFit Deep community - get to know CrossFit Deep athlete, Alyssa Greenwood-Francis! Alyssa started her CrossFit training at CrossFit Deep this past August 2016. Since then she has been consistent with her training and hasn’t let up. 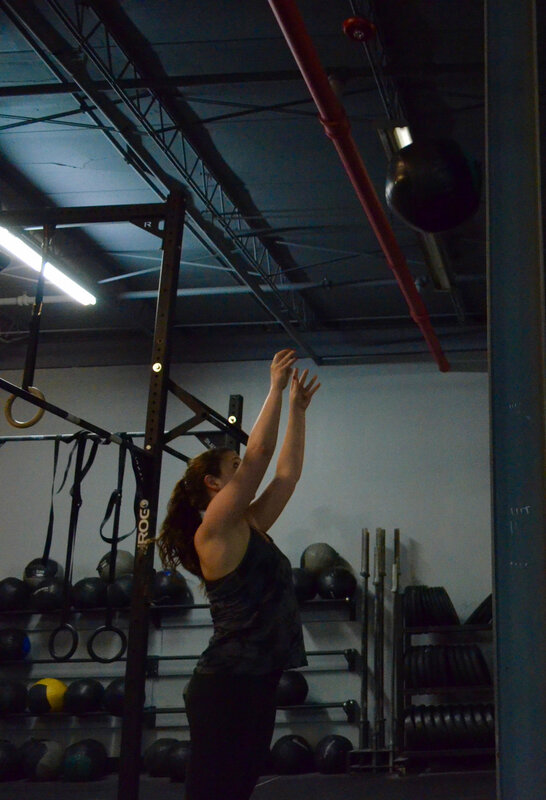 "CrossFit Deep is the first and only CrossFit gym where I have been a member. I can’t see myself joining another gym either! CrossFit Deep is the most supportive workout environment I can imagine. The coaches are wildly knowledgeable and encouraging, and there’s nothing like bonding with friends over dying in the same workout." Prior to trying out CrossFit Alyssa never really found anything that “stuck” when it came to her workouts. We are glad Alyssa gave CrossFit a try. Since joining CF Deep Alyssa has seen both mental and physical results! Next up on Alyssa’s CrossFit ‘bucket list” the infamous, handstand push-up! We are confidents Alyssa will string together her HSPU in no time. Outside of the gym Alyssa works at The Bridge Homeless Recovery Center. You can catch Alyssa in the 4:30 or 5:30 P.M. classes or hanging around Deep Ellum with her friends, on a run with her dog, Junie, or traveling! Next time you see Alyssa in the gym be sure to congratulate her on all CF accomplishments!